On January 31, 1921, future “Little Girl from Little Rock” Carol Channing was born. Alas it was in Seattle. After gaining the notice of New York critics and audiences in the musical revue, Lend an Ear, Channing achieved Broadway stardom playing fictional Little Rock native Lorelei Lee (the creation of Anita Loos) in Gentlemen Prefer Blondes. In this show, which opened in December 1949, she introduced the Leo Robin-Jule Styne songs “Little Girl from Little Rock” and “Diamonds Are a Girl’s Best Friend.” Her work in this show predated Tony Award nominations being announced. (The Tony that year went to Mary Martin for playing another Little Rock native – Nellie Forbush in South Pacific). Her first Tony nomination came for the The Vamp in 1956. Five years later, she earned a second nomination for Show Girl. In 1964, she won the Actress in a Musical Tony for her second signature role playing the title character in Hello, Dolly! Channing also earned a special Tony in 1968 for Dolly when it became the longest-running Broadway musical. She returned to Lorelei Lee in the reworked update entitled Lorelei and earned a Tony nomination. In 1995 she earned a Lifetime Achievement Tony. In 1993, she spent her birthday in Washington DC at a White House dinner for the National Governors’ Association. This was the Clintons’ first offiical White House dinner after moving in to the residence eleven days prior. President Bill Clinton led the crowd in singing “Happy Birthday” to her. She remarked to the President that she was Christian Scientist and didn’t celebrate birthdays, which meant she didn’t get any older. He replied that it meant the night was her first birthday (it was her 72nd in actuality). The Old State House Museum invites people to break out of the winter doldrums and join them for their Winter Fair! They will have crafts, games, music, and refreshments for the whole family to enjoy. Learn how to make a snow globe, play games on the Old State House lawn, visit with living history interpreters, and watch a puppet show and make your own puppets. You can also watch a master ice carver create a magical sculpture from a block of ice. Refreshments, including hot cocoa and kettle corn, will be served, as well as festive music throughout the afternoon. The event runs from 1pm to 4pm today (January 30). Drop in any time, admission and refreshments are free! Gov. 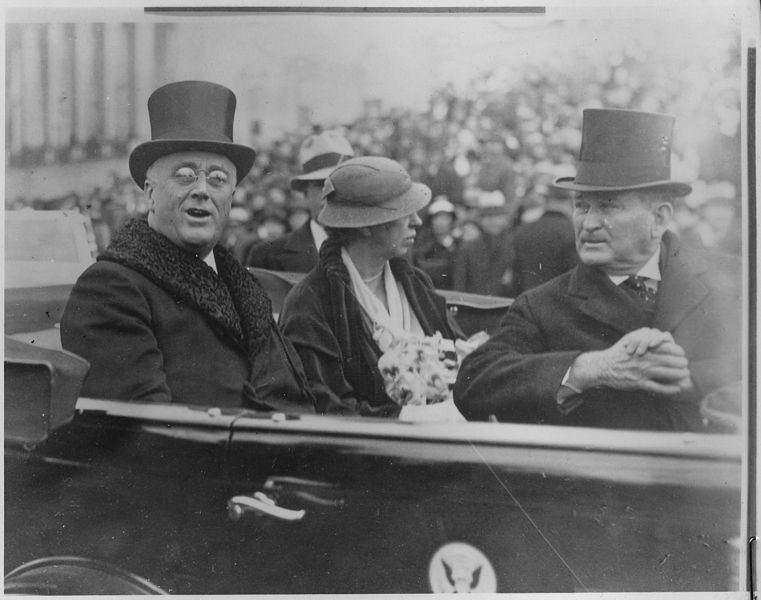 & Mrs. Roosevelt with Sen. Robinson en route to FDR taking oath as president. On January 30, 1882, future U.S. President Franklin Delano Roosevelt was born. In 1936, he visited Little Rock as part of a statewide tour in conjunction with Arkansas’ Centennial celebration. While in the state he spent time outside of Hot Springs at Couchwood, the vacation home of Arkansas Power & Light founder Harvey Couch, who was the chair of the Centennial activities. In honor of President Roosevelt’s visit, a portion of Highway 365 in Little Rock was designated Roosevelt Road. He followed part of that road while in the Capital City before making a public appearance. FDR’s visit to Arkansas had political implications as well. The late Senator Huey Long of neighboring Louisiana had been arguably FDR’s biggest adversary in Washington. Long was very popular in rural areas of Arkansas and had campaigned for Hattie Caraway when she ran for re-election to the Senate, to the dismay of many of Arkansas’ Democratic establishment. 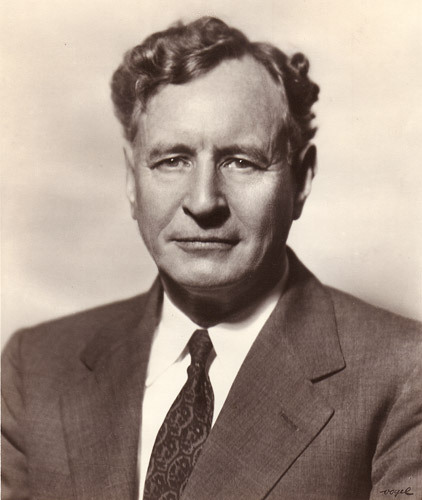 Harvey Couch had worked to bring about a detente between FDR and Long prior to the latter’s assassination in 1935. But between a lingering mistrust of FDR by Long supporters and discontent from some sectors based on New Deal programs, it was important for FDR to shore up Democratic support in Arkansas. At the time the state had nine electoral votes. Early in World War II, President Roosevelt used a fireside chat to promote the heroism of Little Rock native Corydon Wassell, who had saved several troops in the South Pacific. FDR would return to Central Arkansas in 1943 to review troops at the military facility named for Sen. Robinson. That would be his final visit to Arkansas before his death in April 1945. Do you have unique Coca-Cola products or memorabilia you would like appraised? Join Ted Ryan, Director of Heritage Communications for The Coca-Cola Company, at the Clinton Center on Saturday, January 30, for a Coca-Cola Collectors’ Convention. Learn more about your Coca-Cola treasures and connect with other Coca-Cola aficionados. The Clinton Center will also have FREE family activities in conjunction with their current temporary exhibit, Coca-Cola: An American Original, including “Recreate an Original,” an opportunity to become part of Norman Rockwell’s original paintings, Out Fishin’ and Barefoot Boy. This event is free and open to the public, but regular admission fees apply to tour the Library. Tonight at the CALS Ron Robinson Theater, Arkansas Sounds presents Mad Nomad and Ghost Bones. This evening evening of fresh, energetic, indie rock music will begin at 7pm. Tickets are $10. Mad Nomad performs melodic, high powered, heavy rock music that has been described as “informed by…the Replacements, Built to Spill, Dinosaur Jr. and unabashedly guitar-centric.” (Robert Bell, Arkansas Times) The band’s style has also been classified as “a cohesive mix of hard rock, punk, scream metal, ’90s pop rock and even twinges of ’80s metal, all held together with an accessible and undeniable sense of melody.” (Sean Clancy, Arkansas Democrat-Gazette) Based in Little Rock and founded in September 2012, Mad Nomad won the 2014 Arkansas Times Musicians Showcase. Ghost Bones plays post-punk, alternative dance rock music that may be described as urgent, angular, and inspired by art school sensibilities. It is a young and experimental band that strives to create an original sound that appeals to a mass audience. At a time when the alternative rock scene is dominated by male bands, Ghost Bones has drawn attention as a female-fronted band. Based in Hot Springs and founded in September 2014, Ghost Bones won the 2015 Arkansas Times Musicians Showcase.